Dive Thousands Islands with DDS! Great trips for May/June and October in the Brockvile/Rockport/Ivy Lea area diving the USA and Canadian shipwrecks. Join the fun with DDS as we take the plunge to the epic shipwrecks and wall dives of the Thousand Islands region this season. This Trip will be featuring the many great US based shipwrecks including Keystorm, Vickery, America, and more. Passports Required. Warm, clear water awaits you, as we dive some of the largest fresh water shipwrecks in the Thousand Islands Region. We’ll be based out of the Canadian Side of the Saint Lawrence. The Seaway is constantly moving water, which mixes the water top to bottom giving even temperatures even past recreational dive depth limits. 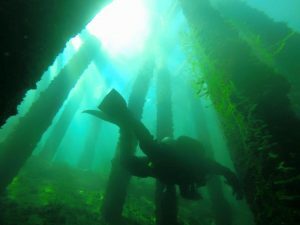 Join us for 2 nights accommodations and 2 days of diving Saturday and Sunday diving from Ivy Lea to the US area wrecks near Alexandria Bay, NY, Departing from right across the street with Wayne Green and Thousand Island Pleasure Diving to Bolt Castle and then to the awesome wrecks in the area. Technical and Recreational Diving activities will be permitted during this trip. 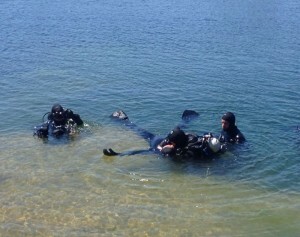 We will be offering Advanced Nitrox/Decompression Procedures Training this weekend. Cost is only $350 including 2 days of 2 tank boat charters, loding Friday/Saturday with space for up to 16 divers. ALL DIVERS ARE REQUIRED TO HAVE AND BRING A VALID PASSPORT OR NEXUS CARD. If you do not have one and you sign up for this trip and are denied entry to the US wrecks there will be no refunds. Dive Newfoundland Bell Island Shipwrecks, Humpback Whales, Bell Island Mine and more! Join us as we dive Newfoundland and the majestic Bell Island Shipwrecks, historic Bell Island Mine, Snorkel with migrant Humpback Whales and tour this beautiful area and as many of the beautiful topside attractions and Eastern Canadian landscape we can find as you travel in style with Dan’s Dive Shop and our friends at Ocean Quest. Newfoundland is home to some impressive WWII shipwrecks that were sank by German U-Boat’s. These time capsules feature some beautiful and colourful soft corals, while many of the original artifacts still are found throughout the wrecks for all to see while simultaneously boasting a lot of great history. Take advantage while you’re there and lets get you up close and personal with Humpback Whales, Dolphins and more! DDS was so impressed with Newfoundland that we have booked it again! Join us for a phenomenal week of diving with our friends at Ocean Quest Adventures as we dive some of the world’s best preserved wrecks. With five* days of diving, you’ll discover the secrets of all four of the famous Bell Island shipwrecks. Intact and upright on the bottom, over 400 ft long, and in virtually the same conditions as the day they were sunk by German U-boats in 1942, these wrecks are sure to have you coming back again. *There is a 5th day of humpback whale activities and hiking available instead of diving. Upgrades available. We may even have the option of exploring the Bell Island Mine again this year! 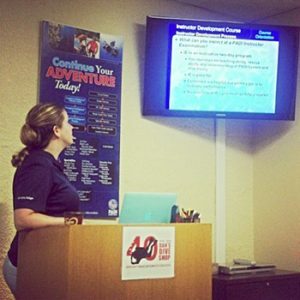 Must be fully certified NAUI Cave 2 Level Divers. Check out the photos in the gallery from this epic dive trip! We can honestly say this experience has been one of the best diving trips of our lives. There’s a reason we keep going back and it’s partly because Rick and his staff continue to out do what they’ve done each previous year. When you dive Newfoundland you realize that this place is special and the diving is some of the best in the world. It’s worth every penny of the cost and then some. Opportunities to dive Empress of Ireland on the way home are available this year as well for those driving through Quebec on the way home. Nitrox Package $2499 Steel or Aluminum tanks and Nitrox. Tech package: includes doubles or rebreather facilities, stage bottle, nitrox. $2699+NL tax. Mine Quest Package: Includes doubles or rebreather supplies, stage bottle, nitrox, plus 3 dives in the Bell Island Mine and a night on the island $2899+NL Tax. Ocean Quest is fully equipped with steel doubles, rebreather supplies, nitrox, oxygen and more. Fly in or drive in, you won’t be disappointed. Prices do not include flight, meals, spa facilities.